Happy New Year! So excited about the New Year as they will be new designs , more designers to find and the opportunity to meet new brides. I am branching out a little…. 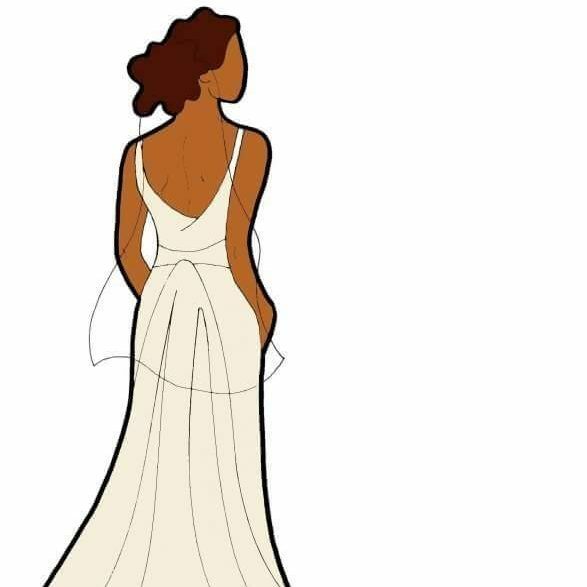 As a consultant I have the opportunity to help the brides find their dream gown but recently some of the brides are asking for someone to dress them the day of. A light bulb went on…. Why can’t I do that. I am very familiar with couture gowns and love what I do. Future brides, if you are looking for a wedding stylist, I am at your service. What is a wedding stylist? A wedding stylist is responsible for helping to make sure that the wedding looks beautiful! I can consult with future brides to help find their gowns, dressed them for their wedding and also help with the bridal party. Are you looking for a wedding dress and do not have time or looking for a dress that is within your budget? I can help you. I am bridal stylist and would love to offer my services. Do you know what the ideal style is for you, your dress or your bridal party? Would you like a professional to do the leg work in finding your dress ? I will help you dress and take care of any last minute details to make sure your day is peaceful and you look flawless. My goal is to make your big day even more fabulous and memorable!! Please contact me for a free consultation and more information.